Martin Mooney was born in 1960, in Belfast, Northern Ireland. Mooney graduated from the Brighton Polytechnic College of Art & Design in 1983 and later completed a postgraduate course at the Slade School of Fine Art. Mooney’s outstanding technical ability, together with his keenness to look to the past for inspiration, has gained him appreciation over the years from a number of admirers including his tutors at Slade, Euan Uglow and Sir Lawrence Gowing, both of whom idolised traditional art. He also gained attention from the London Evening Standard’s art critic Brian Sewell who had written in a short essay, in 1990 for Mooney’s first solo exhibition at Dublin’s Solomon Gallery and spoke glowingly of this ‘fine painter with a natural intelligence’ who had taken up the mantle of the past. Mooney has been known to build up his paintings using glazed layers, often bathed in a golden hue. 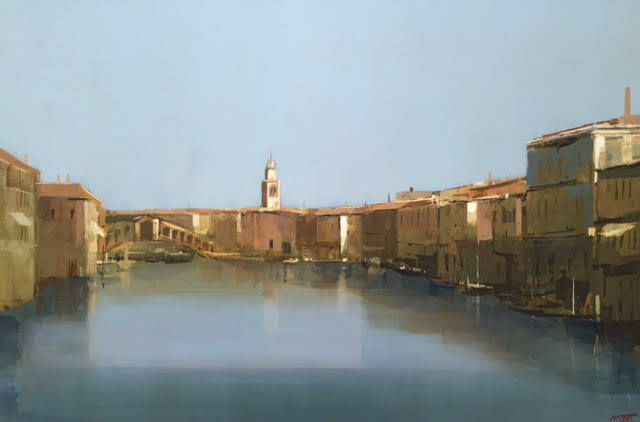 Whether his paintings are set in Dublin or Venice, Gerona or Donegal they all have a similarity. 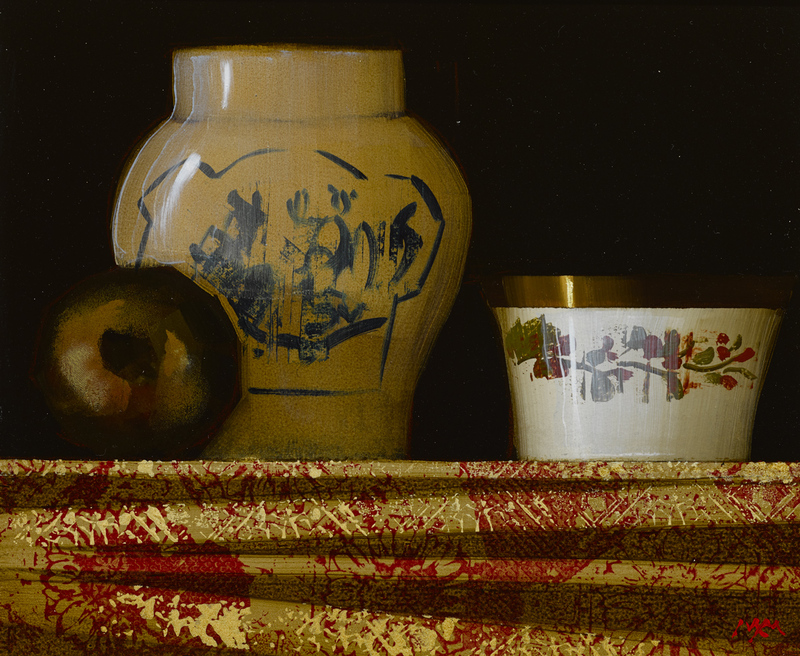 He paints architecture, country side and still life using honey enriched tones, rich reds and pale blues which can be seen in his paintings, especially the carefully placed studies of china pots, jugs and bowls. In an exhibition in 2007, at the James Adam Salerooms in Dublin, Ireland. Mooney had given a new desire to paint floral still life and shorescapes in Donegal of cattle, he wanted to change and create new subject matters than continuing his ritual paintings. He is a very accomplished painter, who resides in Donegal yet he does not show that traditional Irish painterly tradition which makes his paintings unique, identifiable and very popular since he first exhibited in the early 1980’s. ‘Martin Mooney is a superlative exponent of the well made picture in the tradition of 19th –Century realism.’ – Aidan Dunne, Irish Times, May 2002.